Rent Quattro Restaurant and Bar | Corporate Events | Wedding Locations, Event Spaces and Party Venues. 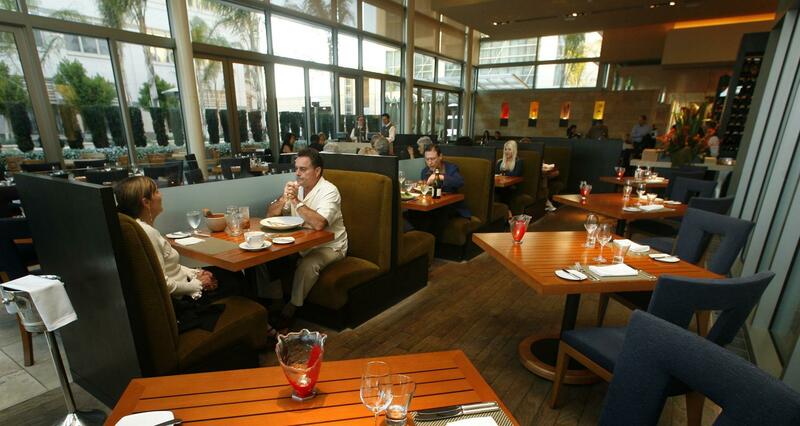 Quattro Restaurant’s contemporary setting is enhanced by abundant California sunlight. On the garden terrace, guests can dine amid the natural beauty of their surroundings in Palo Alto, complemented by the relaxing sound of the water wall. There's always something happening at Quattro. We all need a reason to celebrate – so why not enjoy playful Silicon Valley dining while commemorating an important occasion? Explore the latest buzz and events taking place at Quattro Restaurant and Bar, where you can enjoy dynamic menus with an Italian flare. Quattro Restaurant offers a sophisticated yet playful fine dining experience in Silicon Valley. The spirit of innovation is enlivened as Chef Marco Fossati transforms old recipes of tradition into a modern culinary context, offering a dynamic relationship between food and place. We call this cuisine “Cal-Ital”, an homage to the blending of the old world and new. Discover exciting menus that are constantly evolving to adapt to the energy and technology that embodies The Bay Area.